Kitty Pryde prepares to hunt a vampiric Storm and leaves a letter to her boyfriend, a sleeping Colossus. In a castle Storm continues to battle the “hunger’ to feed on blood. She soon realizes she’s not alone, Forge is there with her (in this world he’s a mutant traitor and maker of the sentinels) he offers himself to her as food. Kitty closes in on the castle after locating one of Storm’s lockpicks. She reminisces about her time with the team and how Storm helped her to fit in at Xavier’s school. She wonders if she can actually kill Storm when the time comes, she then sees the ominous castle in the distance. Storms claustrophobia kicks in and she breaks down the dungeon door holding herself, and forge and takes out the two guards. Kitty enters the castle and kills a few vamps. 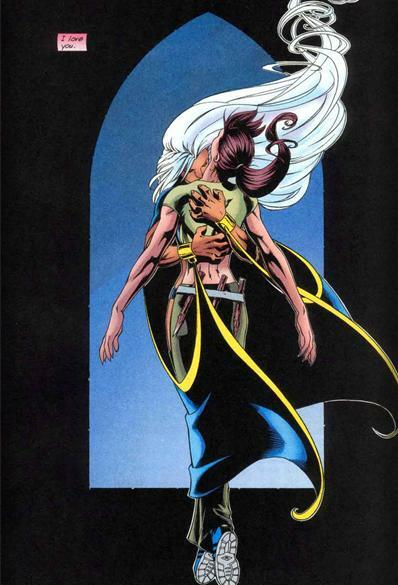 Storm continues to refuse the hunger she feels and she and forge bond. Kitty then attacks her and the two exchange blows. When Kitty has the upper hand she flinches with the killing blow. Storm has lost herself in the battle and enthralls kitty before ascending into the night sky and feasting on her life’s blood. Five months later: Nightcrawler and Colossus bond over some tea as the latter reveals he was going to get engaged to kitty but now all these months later her death is all but confirmed and he is left emotionless in its wake. 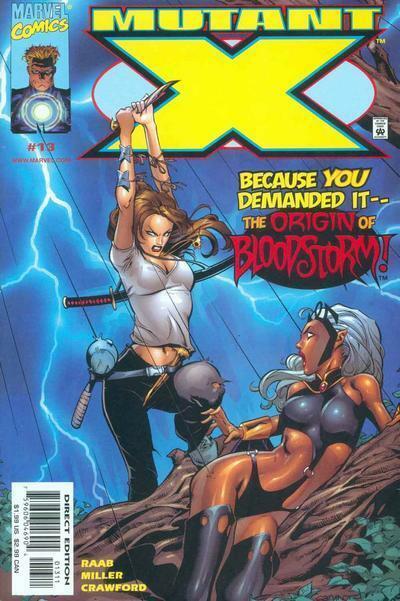 Mike Miller hits all the right notes with the art and Ben Raab weaves a nice little origin tale that is suitable enough to the core of what and who Storm is before succumbing to her vampirism yet maintains the edge that is maintained by the Bloodstorm persona throughout the mutant X series. Considering when this storyline is supposed to take place the skill of Kitty Pryde is highly ‘suspect’ and her choice of weapons.